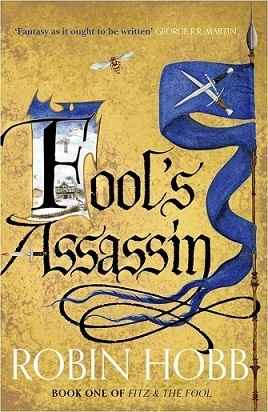 For a little while I had fallen out of love with Robin Hobb’s writing. It was a shame, because I had always been such a huge fan of her work. Her last few books left me shrugging my shoulders with characters that I couldn’t ‘get into’ and a story that felt unnecessarily complicated. This book absolutely restored my faith in her writing. We return to the story of Fitz and the Fool. A story that I fell in love with way back when (go read Assassin’s Apprentice). Fitz is living happily with Molly, in the comfort of his home in Withywoods. The book does start out slow, but it’s incredibly rich in detail about his every day life. Of course, all hell soon breaks loose. It starts out slow and then the reader is rampaging along and then before you know it – cliffhanger. Of course. Some people may not be comfortable with the amount of ‘mundane’ activities that the story delves into, especially during the first half of the book, but I personally felt that they were necessary and set the ground for the story. They refreshed my memory of Fitz and his character, and refreshed my opinion of why I had fallen in love with the series to begin with. These were characters I could relate to, characters I have loved. I realize that my review is skipping over any sort of specific detail but the book is really quite full of surprises and I’ve never really been one to give away spoilers. Suffice to say that if you were a fan of the first Fitz books, I am confident that you will also enjoy this book, and if you haven’t read any of them yet, you may want to look into it. Disappointing. That’s what I thought of ‘The Third Kingdom’. 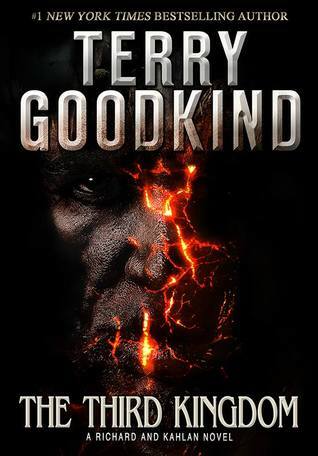 I’ve happily read Terry Goodkind for years now, having fallen in love with Wizards First Rule way back when, but the Richard from these books is nothing like the one that I was familiar with. The book repeats itself from beginning to end and it feels like a whole lot of filler. 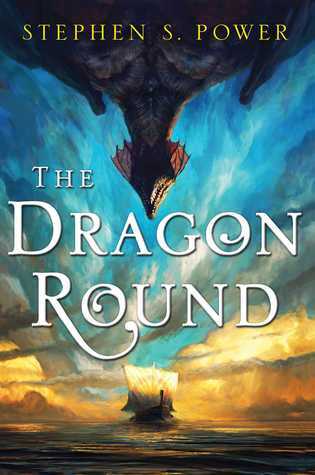 If you’re looking for a story that involves Richard and Kahlan at all, you’re out of luck. Instead you get to meet another strong Goodkind female character, Samantha. This was probably the one bright spot in the entire book because Goodkind does write female characters very well. It doesn’t become apparent until about mid way through the book what the link is between this book and the previous one, The Omen Machine. It’s filled with violence, and no one has an easy time of anything. 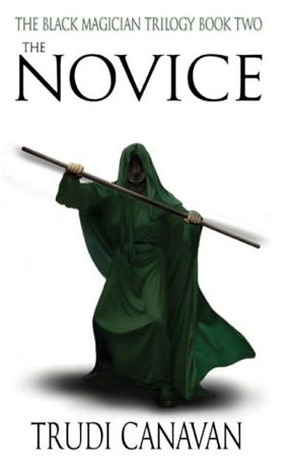 It felt a little too over the top for me, but again I’m remembering Wizard’s First Rule and the writing style and characters that I initially fell in love with. What happened to the strong Richard, what happened to the proud Kahlan (oh, she got kidnapped, again..), how am I supposed to believe that Nicci and Zed are powerful wizards when their powers now mean nothing at all and they cannot help any situation? 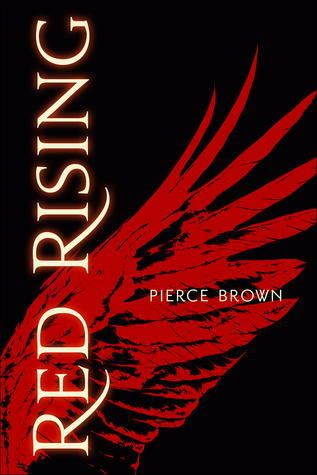 I didn’t feel that I learned anything new from this book aside from within the final chapters, and I’m wondering if I should even continue reading the series because it is so lackluster. I am not sure how on earth I ever missed reading this book way back when, but miss it I did, and just discovered it in an old used bookstore here in Kelowna. Sure, I’m quite partial to the books I have on my e-reader, it’s easy to bring them where ever I go and simple to pick up books depending on my moods, but there’s something to be said for the feel of pages between your fingers, especially if the book has been owned previously. Anyway, I’m getting carried away here. I typically don’t enjoy science fiction. Spaceships bore me, and space discovery has never been something I was interested in reading. However. When it comes to Anne McCaffrey none of these issues seem to bug me. There are a handful of authors that have this effect, where it doesn’t seem to matter what their genre about, I will drink it up and be eternally grateful for the chance to read their work, and this book was one of those. She’s a stubborn girl who starts off by being let down by the world. Turned away from her main career choice, she ‘randomly’ meets a handsome stranger who cuts crystal for a living. The main requirement is perfect pitch, which she has (of course) and a few other specifications that I don’t want to spoil for readers. I found the whole story to be incredibly well written, even though I can’t exactly pinpoint why. The genre is one that typically doesn’t interest me but because it was written in such a descriptive way, I felt like I was almost there, through her trials and tribulations. 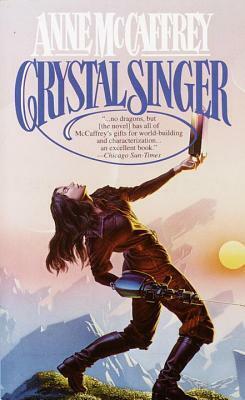 As Killashandra learns to become a Crystal Singer her class mates came to life, and in most cases they were actually more interesting than her – plus there’s that interesting love affair with her — well, I don’t want to spoil it. Lets just say this was a great read, and I’m sad that it took so long for me to finally read it. I have already picked up the second book and can’t wait to start. 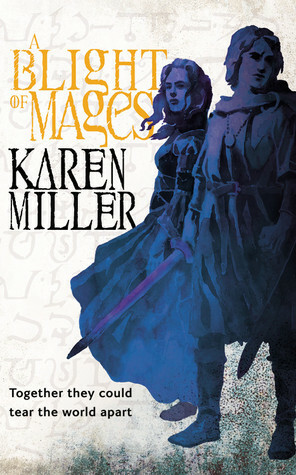 This is book two in The Black Magician Trilogy, and I was incredibly disappointed. Sure, I didn’t rate the first book that high (3/5 stars) but I was hoping that by the second book things would have picked up a bit and the author would have found her groove. Instead things seemed to fall apart. I had high hopes for Sonea as she progressed into the Magicians Guild and attended her classes, but instead she turned into an incredibly weak, meek, shy girl who refused to stand up for herself. The entire novel she let people push her around and did nothing about it. She didn’t retaliate, didn’t ask anyone for help, just sucked it up and dealt with it. I found this incredibly obnoxious and it spoiled what I thought of the entire story. I can overlook plot holes, I can get by with weak descriptions so long as there are outstanding characters and this book simply fell short. Of course by now I have read too much and I will have to continue on with the third book, but I really hope Sonea has grown up a bit. Yes, the story line did move along, and parts of it were interesting, but they were ALL overshadowed by the weak woman that Sonea turned into and it just simply did not resonate with me at all. This book has been going around my feeds as ‘the next big thing’ as far as books-to-read go. A few of my friends read it and loved it which is always a good sign that I may also enjoy reading it. While I DID enjoy the book, it reminded me far too much of movies like Ender’s Game, and so I didn’t find the story unique at all. Darrow lives on Mars, and works beneath the surface at a very dangerous job. Some things happen that cause him to question what he’s doing, and who he is doing it for. Eventually through a series of events he gets recruited into an organization hoping to overthrow the caste system, but in order to help he has to impersonate one of the ‘higher’ races. He has to move through their ranks, starting with University, which is an us vs. them tactical game of capture the flag. The game turns all too real as the students are pitted against each other, and the teachers get involve taking sides. There are political undertones to the whole thing, which just makes the twists and turns more enticing. The writing was fantastic and like I already said, I did enjoy the book but it was pretty much (to me) Ender’s Game, with more fantasy than space in certain parts of it (the university capture the flag game happens on a planet). Still, I do recommend picking up the book and giving it a read. The writing more than makes up for a repeat story, and it’s not COMPLETELY like Ender’s Game, it just reminded me a lot of it.